Our Lead Climbing Course will teach you and your partner all you need to know about indoor lead climbing. Suitable for participants aged 14+. You should be a competent top-rope climber before attending this course. 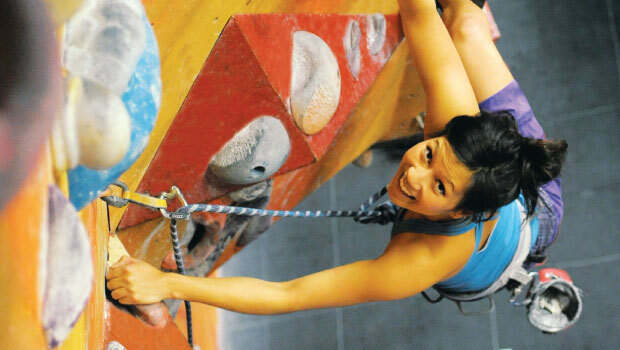 4 hours of professional climbing instruction from our highly trained and enthusiastic instructors on a 1:2 ratio. Course content includes: Review of top-rope safety skills, lead belaying, clipping techniques and positioning, holding a falling climber, taking falls as a lead climber and ensuring both climber and belayer can enjoy lead climbing safely in an indoor environment. Please note: You must book and pay for 2 participants at the same time for a Lead Climbing Course! Please call us on 01483 566880 if you need assistance with availability or to pay separately for participants. Just £99 per person. Select a date below and book your beginner course now!